Are you tired of the old plain white Google Chrome, but it feels so hard to leave it at the same time? While this is mutual among almost all of the Chrome users, they finally seem to have listened to the demands and therefore, Google has decided to add more fun to its browser. 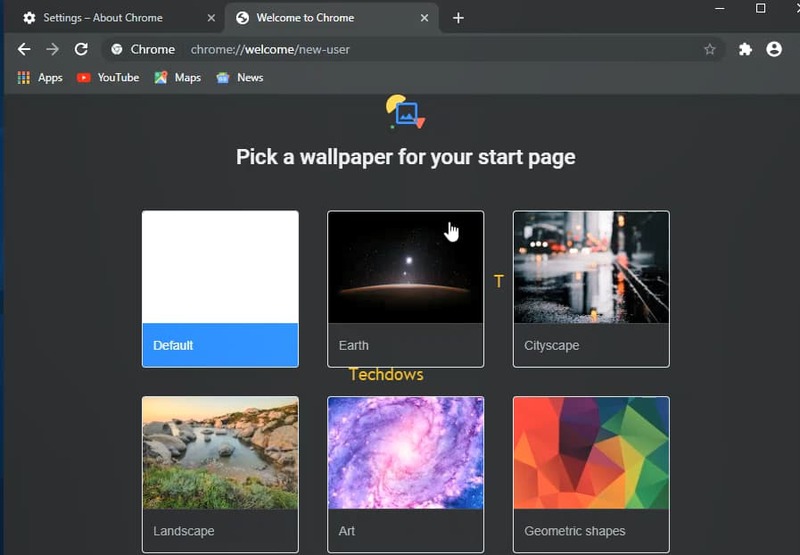 According to TechDows, Chrome developers are trying some major changes in the Chrome Canary 75 and the highlight of the show has been a dark theme for the start page along with stunning wallpapers divided into categories. In the previous versions of Chrome, for instance public version of Chrome 73, the home page was all about instructions. It guided you about a number of things varying from adding bookmarks to a new tab page or signing into your Google account. Now the company has completely revamped the interface with the introduction of dark mode and wallpapers right when you hop onto the start page. While the instruction steps are important, they are still not going anywhere. It will just be an addition to the list of amazing features that Chrome already boasts. The only hurdle, however, is that for now, these features are only available in the developer version of the browser - Chrome Canary 75. So, normal users will have to wait a bit to see the new theme and wallpapers in their Google Chromes.